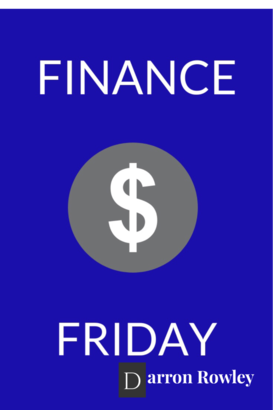 Here is another edition of Finance Friday, I hope you enjoy! This need to be accepted is not new. The difference these days is that it is multiplied by social media. On Instagram we see the nice vacations and fake filtered photos. On Twitter we see claims of business success as someone sits in a Lamborghini they rented – claiming it is their new purchase. On Facebook we see photos of the perfect family. And yet, below the surface things are never as they seem. The problem is, the damage is already done the moment we see these falsities. We begin to feel bad about ourselves and wonder why we don’t have the things we see portrayed. Financially it shows up in the form of keeping up with the Joneses. We end up buying stuff either to look the part, or in an attempt to make ourselves feel better for the things we wish we had. In the end, we are just chasing something that can’t help us feel better about ourselves. So, what do we do? 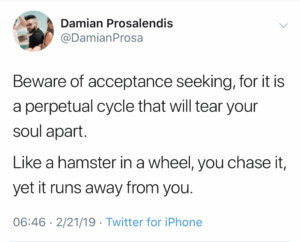 How do we break this vicious cycle? The answer to that question is above my pay grade. But one thing I have noticed, is that we are more inclined to chase those things if we are unhappy with our own progress. It’s when we don’t see progress in the important areas of our lives that chase or begrudge others that we think have what we want. In the end, progress is what really matters. We would be better served by getting off social media, and getting to work on ourselves. Find those areas you want to see improvement. As you see progress, you will care less about what others are doing. You will be at peace because you will know you are working on yourself. In the end, progress in what matters, and is really what we need. This week I was talking with a good friend of mine who is a dentist. He was explaining to me about the debt trap many dentists are falling into. They are going into so much debt to get their degrees, that when they get out. they are actually having to live a broke lifestyle just to pay back their student loans. Many are graduating with $500,000 of debt. OUCH! He said there are many who are unwilling to live a broke lifestyle, which only makes things worse. This ties in with the twitter quote above. The tip for this week: Seek True Financial Freedom. It’s being free from the burden of debt. These dentists are servants to their loans for 25 years after graduating. I am not saying people shouldn’t go to school to get these advanced degrees. What I am saying though, is that debt will crush us if we are not careful. It doesn’t matter what from it takes. In your pursuit of financial freedom, make eliminating debt your main priority. As you do that, you are better able to build your wealth as you progress towards full financial freedom. In this post I discuss a few key areas you should consider investing your tax return – even if it is just a portion of it. If we spend out return on “stuff” we won’t have anything to show for it, but if we invest it, we will be investing in our future. Recessions come around every few years. It has been 6-7 years since the last one, which was the Great Recession. Are you prepared for the next one? If we take the steps in this post, we will better assure the next recession doesn’t run us financially. Have you wondered if you would make a good business owner? In this post we discuss how to prepare yourself to start a business, and how to do so in a smart way so you don’t ruin your financial progress. Thank you for reading, I hope you enjoyed this message.